You're inspiring me (...although not until after I finish this big deadline...). The other day, I cleaned a lot of yucky oil-heat dirt off the wallpaper-up-near-the-high-ceiling, and off the ceiling panels, by sweeping them with an upside-down broom. I bet if you used a Swiffer you could wash the wall without getting on a ladder. 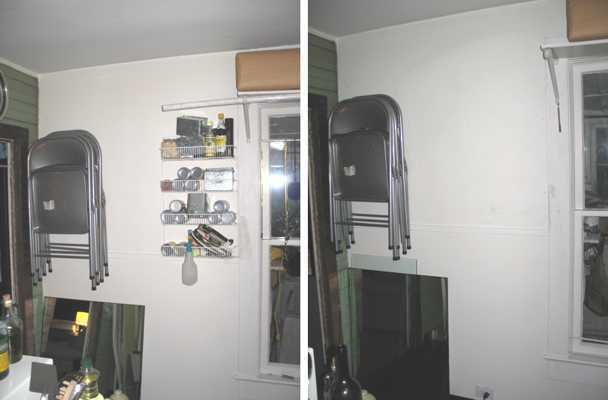 I confess that I have multiple Swiffers, including a mighty double-truck model--they're from yard sales and discards. I think they're absolutely worth houseroom even in a dejunked house, because they're so good at doing so many things.